The nice people at O’Reilly Media have posted details of book one of the two-part Exchange 2013 Inside Out set. My book covers the mailbox server and high availability while Paul Robichaux is deep in the process of writing all about the client access server, clients, and other wonderful topics including unified messaging. I’m sure that O’Reilly will get to putting up some details about his book soon. We’ll soon be making preview chapters available. These are chapters that are in the midst of the editing process. As such, they might contain errors. In fact, I’ll guarantee that they do because, despite several reviews, eradicating errors from text is an ongoing process when the software changes, as Exchange 2013 did recently when CU1 was released. Paul and I are attempting to keep the text updated as Microsoft upgrades Exchange but, as you can imagine, this is not particularly easy. In any case, it’s nice to see the book entering the final stages. Much of the writing is now done. All that has to happen is updates, fact checking, revisions, indexing, more copy editing, fights with the editors about page counts: the normal kind of thing that happens to bring out a book. This entry was posted in Exchange 2013 and tagged Exchange 2013 Inside Out. Bookmark the permalink. Good work, love the cover 🙂 Look forward to getting a copy. I’ve read Exchange 2010 Inside Out and it is by far the most useful reading material available for Exchange 2010. I have no doubt this upcoming Box Set will complement its predecessor. Amen to that. I bought the Exchange 5.0 book way back when and its getting bigger every Exchange edition! Looking forward to the new books Tony. Must have been a lot of work! I will buy the hard copy instead of Kindle edition this time round though. The ability to physically flick through pages to reference articles will be worth the extra weight of carrying the book (s) around! Weight is one of the reasons why we have split the book into two. This book will be 800 pages, give or take a few. I think that Paul’s will be a tad smaller. Together they would be around 1,500 pages, which is just too much. 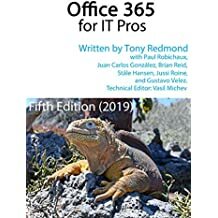 We have several Exchange 2013 On-Premises projects coming soon, and this will be THE book to read for anyone that will be doing Exchange 2013 On-Premises. This will be THE best Exchange 2013 On-Premises book in the market now. Thank you for giving us Exchange On-Premises customer the knowledge we need. 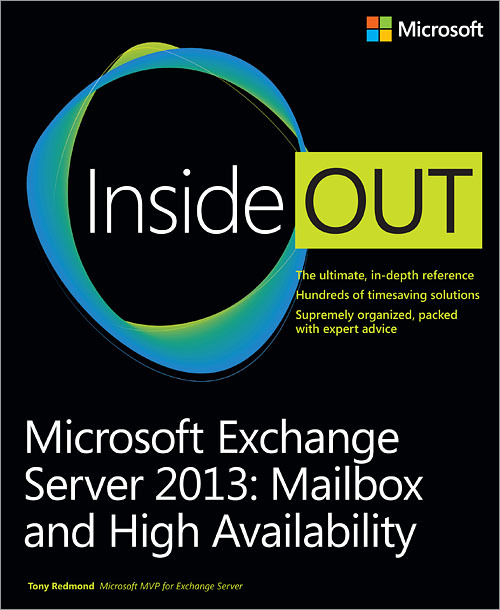 Any Enterprise with the Exchange 2013 On-Premises, this is a must read book. I missed resource kits a lot as they were for E2000/E2003. The inside out for E2010 was comprehensive and provided a closer insight. Some of the topic on store, were better than the help file. I am all exited and waiting to get a Cope. by far, Inside out for E2010 is was the best readable for the version.. Thanks as always for your hardwork. I have started reading on E2013, and believe me in last 1 months i have searched Google twice to see if it release by you and to find possible trace if any.. !